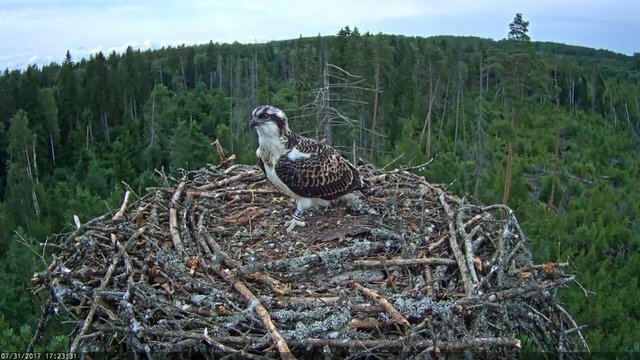 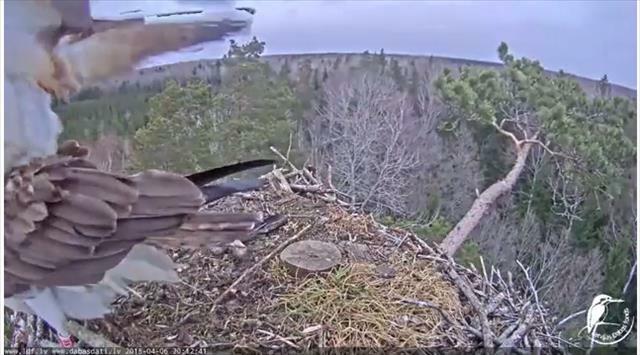 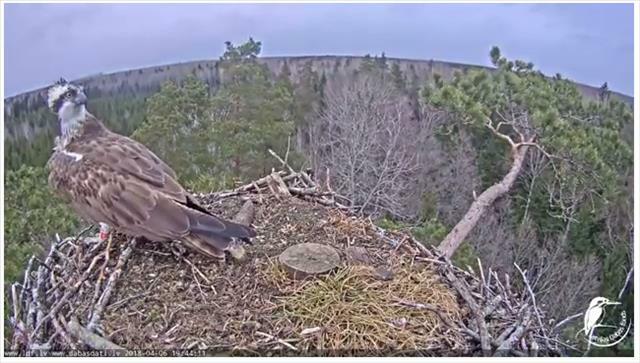 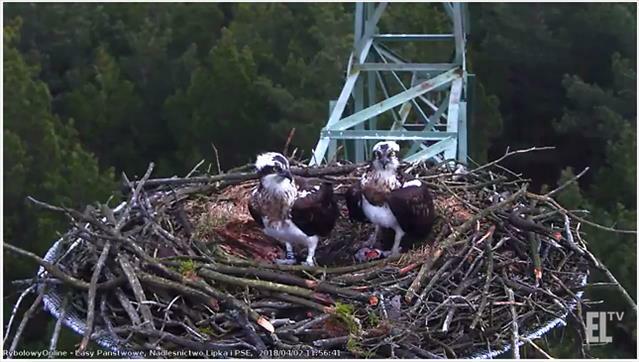 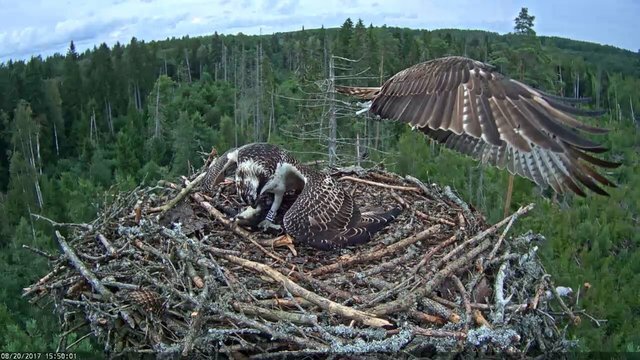 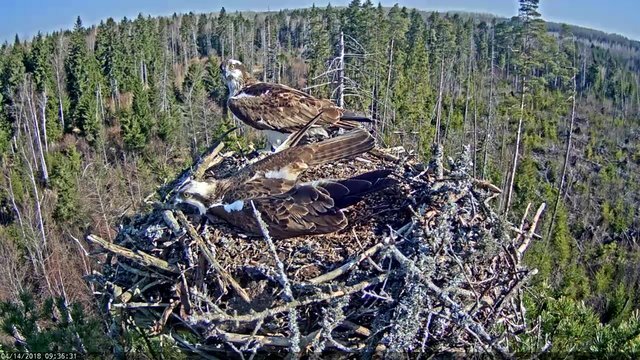 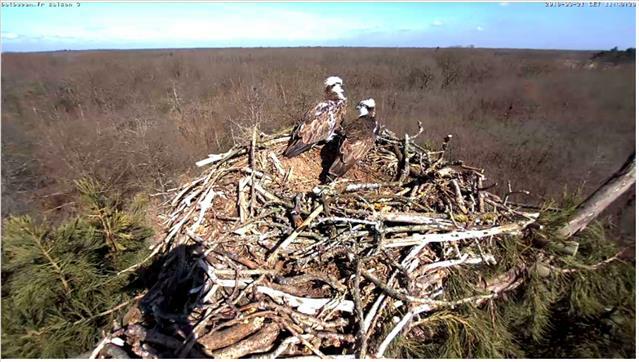 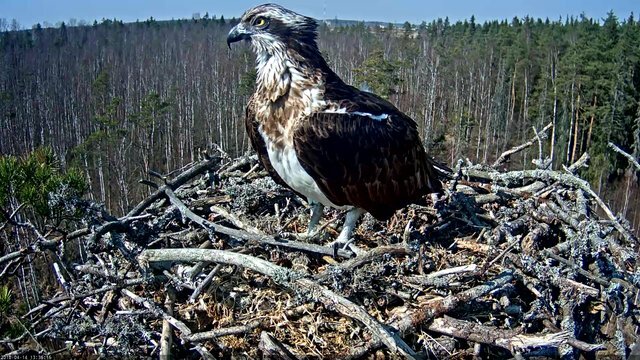 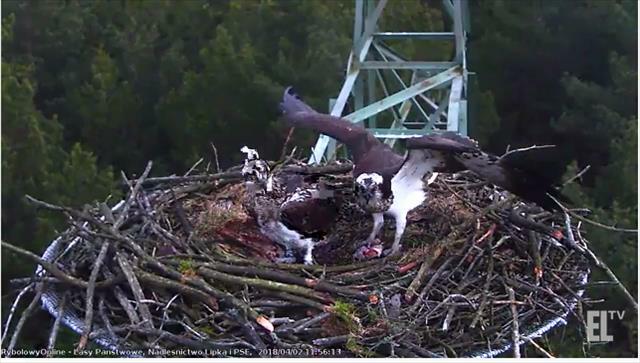 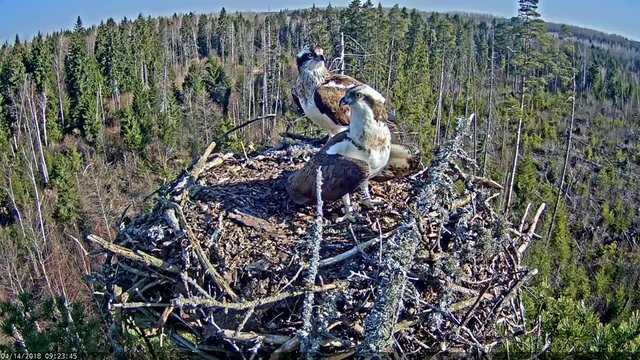 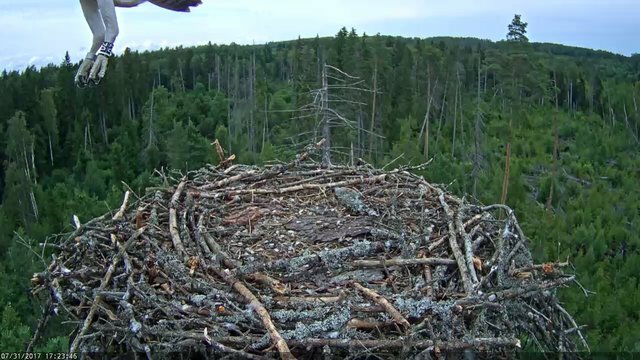 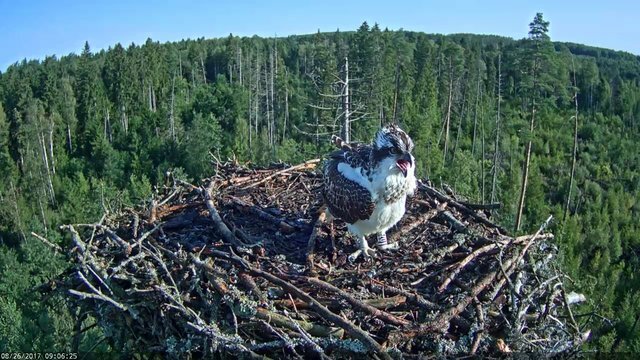 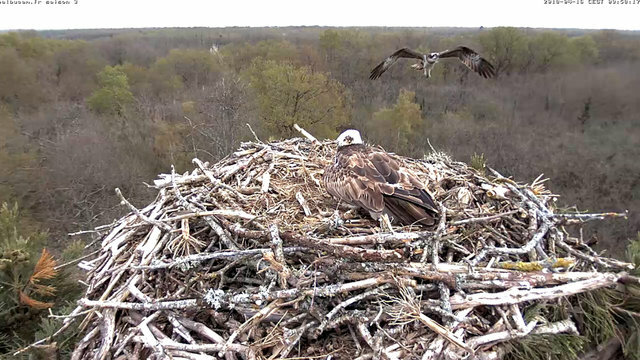 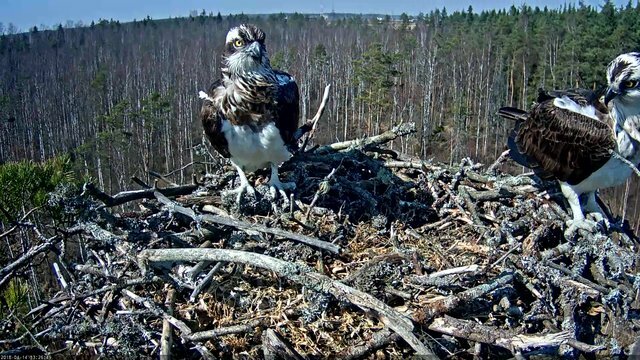 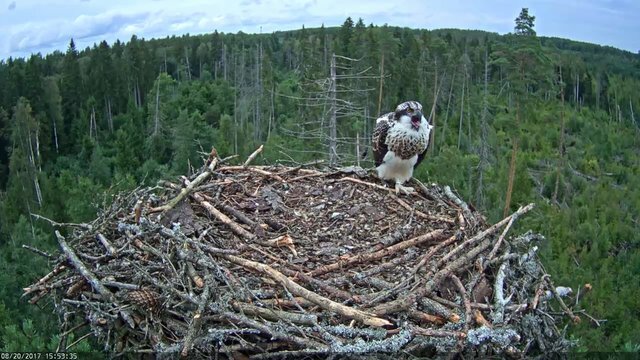 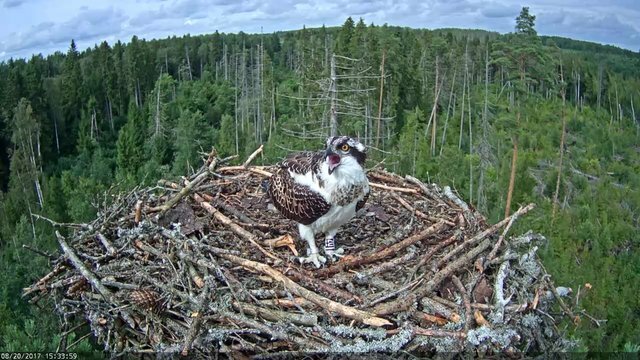 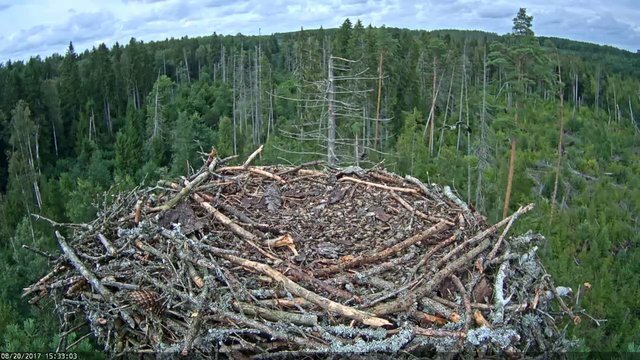 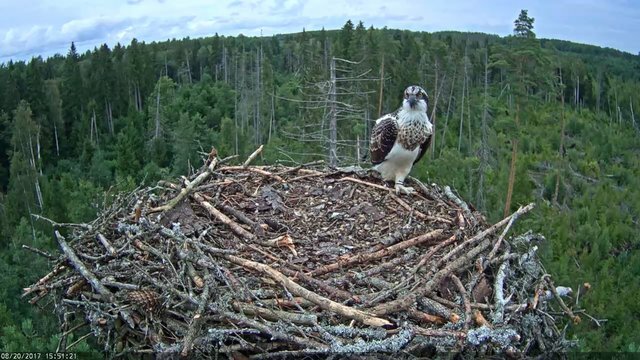 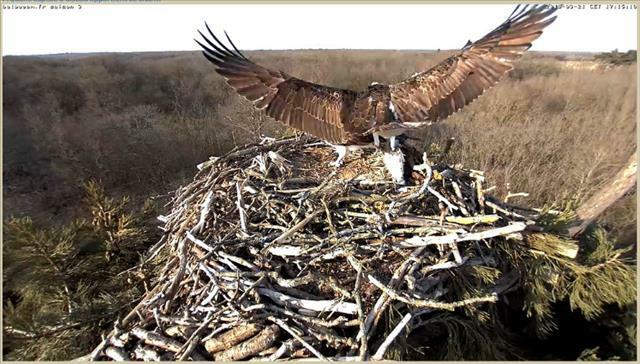 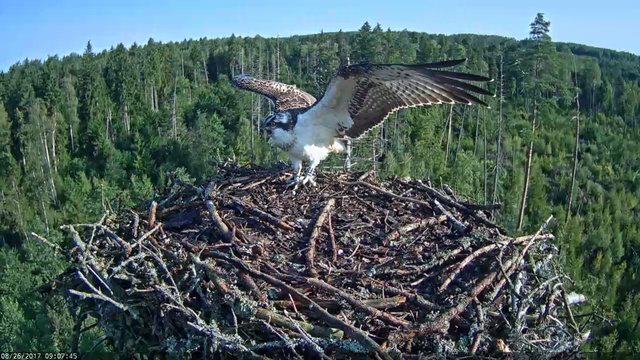 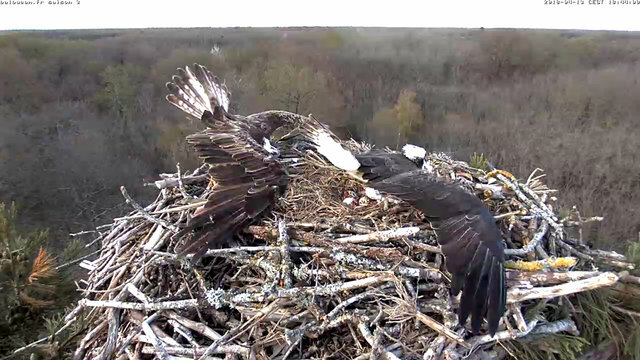 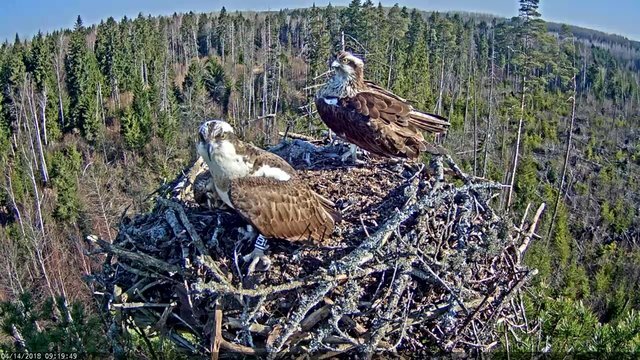 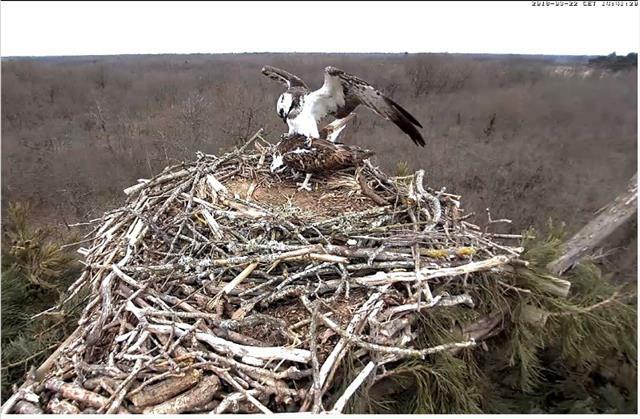 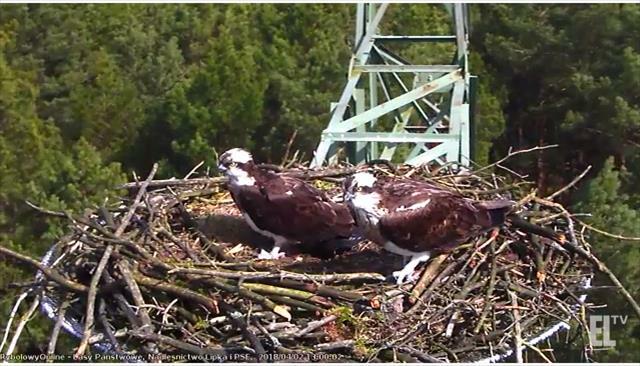 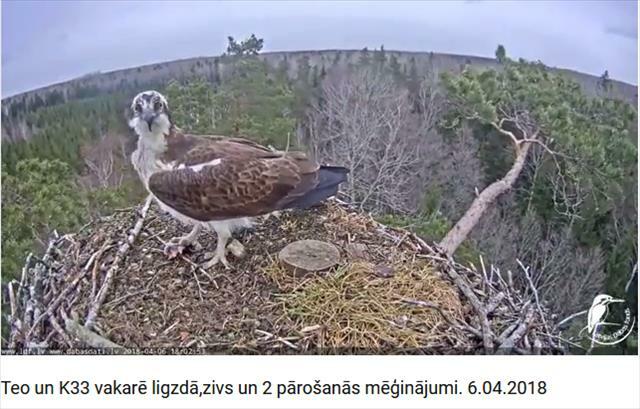 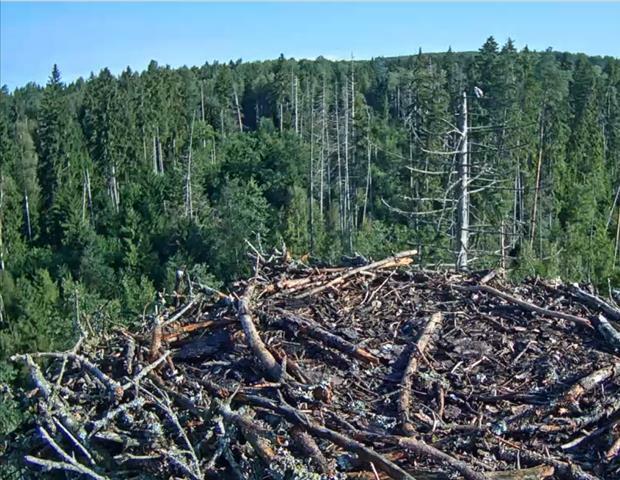 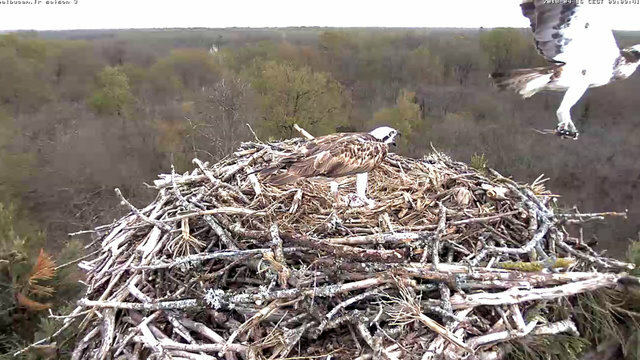 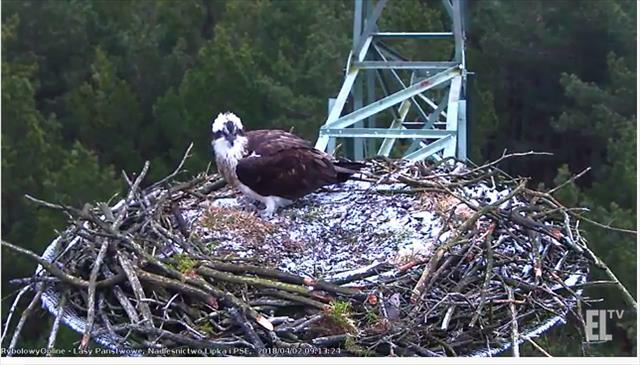 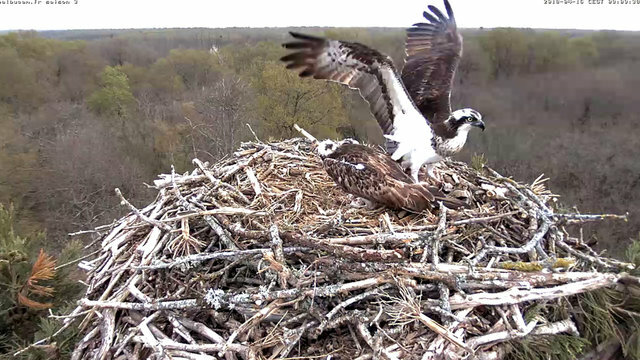 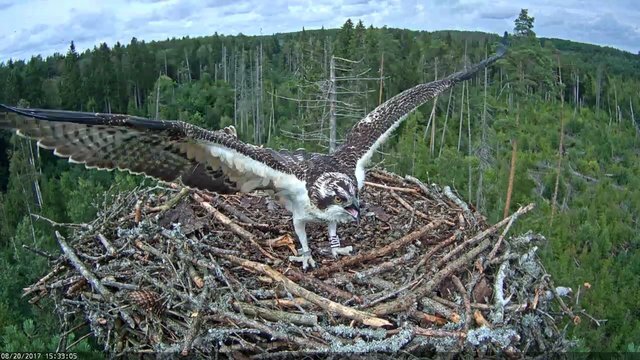 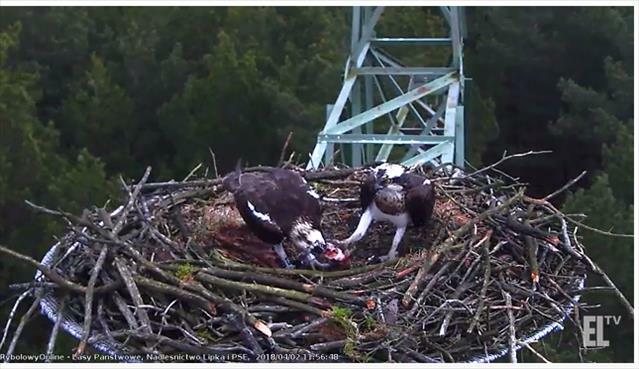 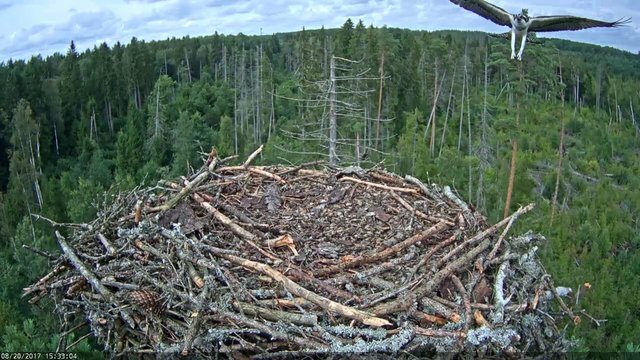 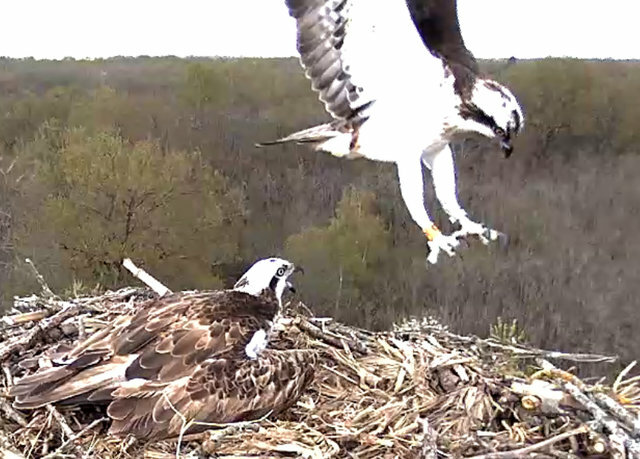 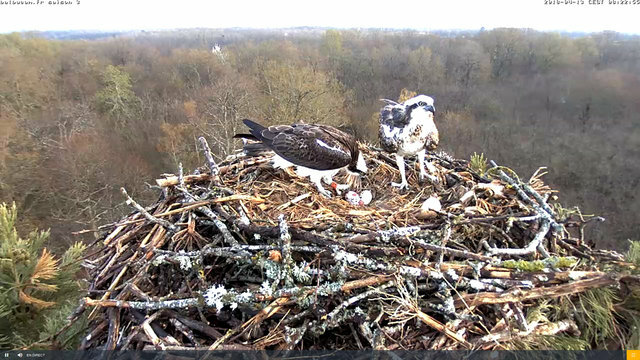 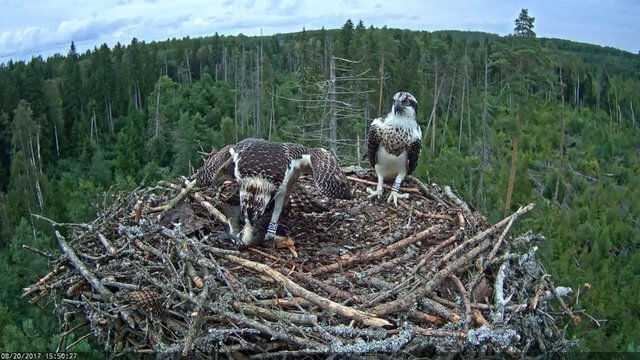 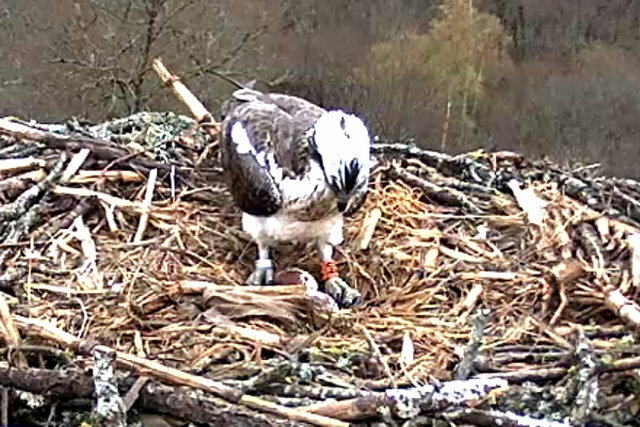 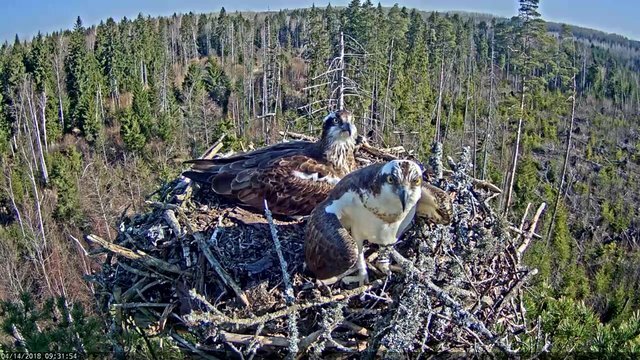 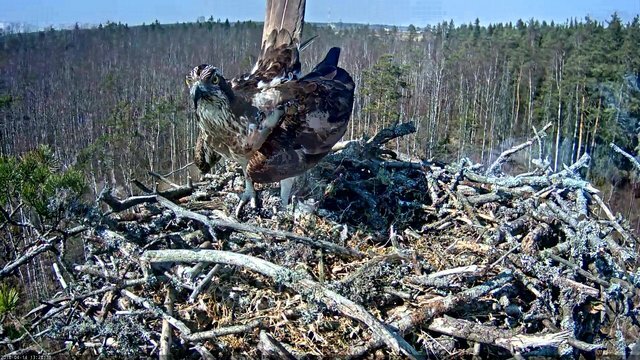 Latvian Osprey nest - resident male TEO is back. 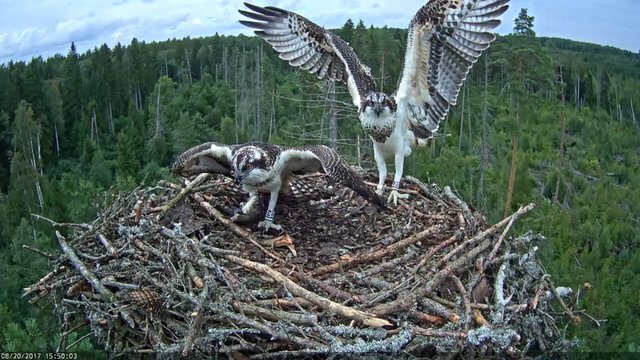 Pics taken from Balbucam-Forum pages 32 etc. 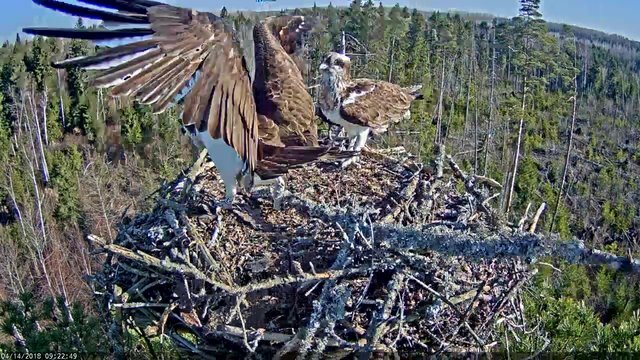 On April 13, 2018 at 18:47 an intruder attacked the nest with Reda & Sylva. 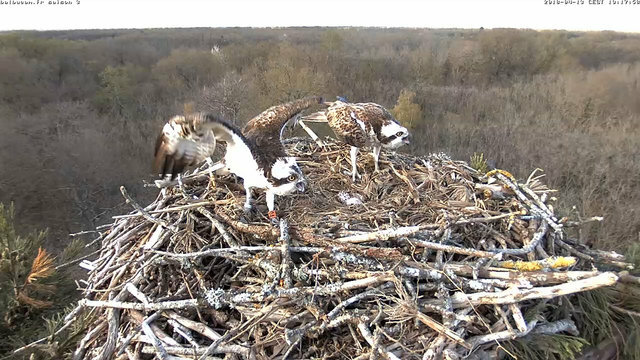 Reda tried to chase him and there might be a fight...Reda hasn't returned yet. 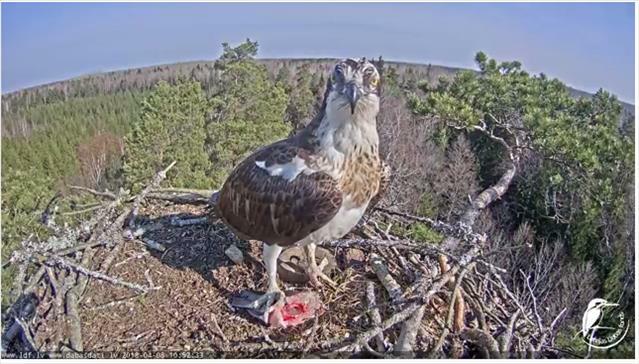 she will go fishing for herself soon & leave her eggs. 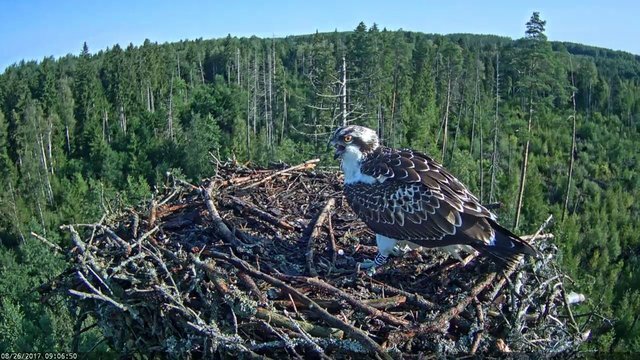 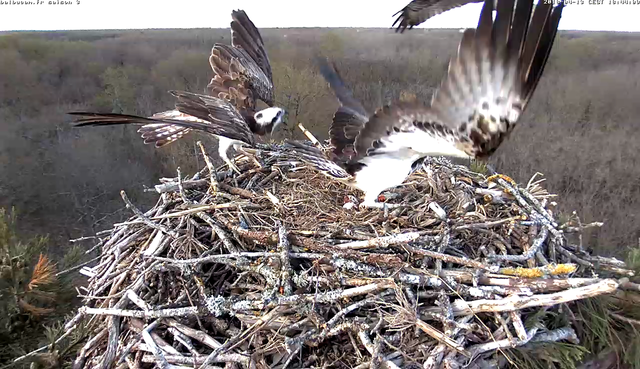 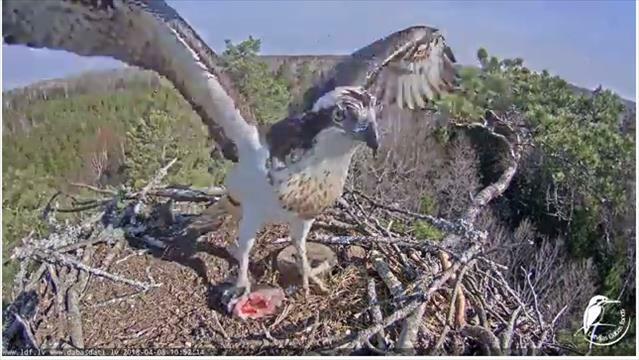 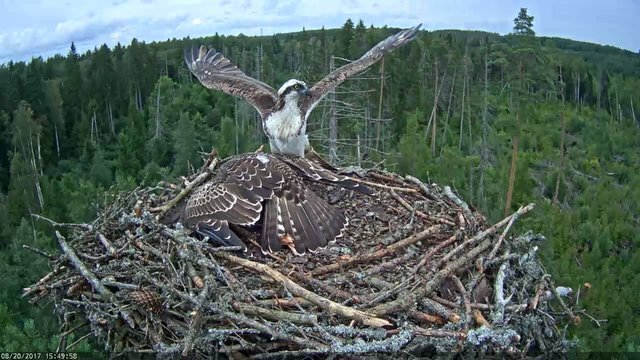 A ringed osprey tried to land on the nest yesterday at 18 h 03 min & today at 8:11 there was another osprey around flying by, couldn't snap him... might be that Sylva wouldt accept him or another compagnon next days.